Paul Hillebrand has been writing and performing music for more than 30 years and has published numerous works that can be found on this site where you can purchase Paul's music. 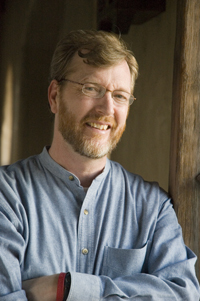 Paul is also published at Oregon Catholic Press, Spirit and Song, and World Library Publications. In addition to spreading God's word through song, Paul is a gifted pianist and guitarist and shares his talent with others through music workshops and instruction so that all generations can be inspired by beautiful and meaningful music. Paul has released eight albums, most are available for purchase online. "Journey to You" (2006) is available at Paul's Music Page You can preview this album and previous works. 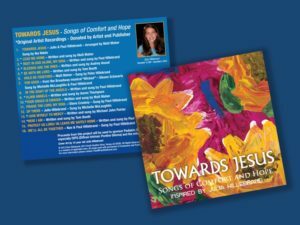 Check Out Paul's Music published by World Library Publications. Oregon Catholic Press, Kevin Keil and I, have just released our new mass setting; "Wondrous Love Mass". It is a setting primarily for the season of Lent using the Hymn tune Wondrous Love. I had a simple idea for it and Kevin did a masterful job making it into a very accessible and prayerful setting that we both have been using in our parishes for the past two Lenten seasons. We hope it will become a prayerful addition to your Lenten repertoire for you and your ministry as well. You can find it at http://www.ocp.org/Wondrous-Love-Mass...it has Keyboard, Guitar and SAB parts as well as Oboe and Cello parts. A CD Inspired by and in honor of Julia Hillebrand. Many of you know that Paul Hillebrand and his wife Nan, have five children and His youngest daughter Julia, passed away at age 12 in December of 2010 from an inoperable brainstem tumor. She fought for 16 months and was a very brave, creative and faith-filled little girl who left us with many great memories, paintings, and even some songs that will be included on the CD. Available by clicking here or go to shop.paulhillebrand.com.